Whew, what a whirlwind March has been so far. Wrapped up my classes in Anaheim with Sharla Hicks, and have come out from under a mountain of homework, and still have time to tangle! In honor of new things, and the impending spring, I will share a few from the last 2 weeks with you! First, some really cool textured gold paper, with black Permawriter and gold Gelly Roll pen. 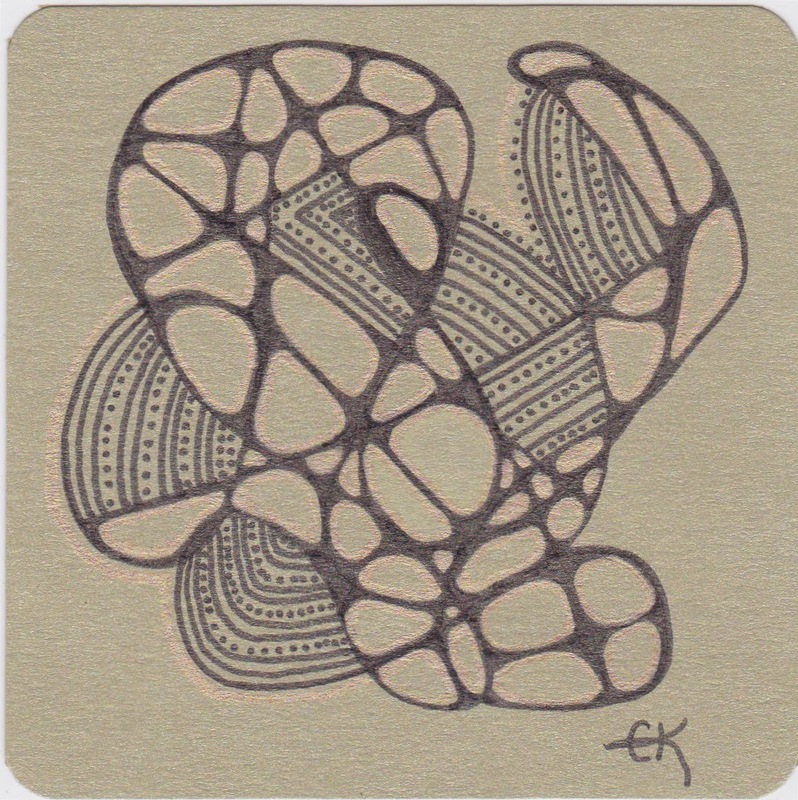 It was a very irregular grid, with N’zepple (the name of the tangle used.) Unfortunately, the gold pen doesn’t seem to want to scan too well, but that’s ok, I still think its cool! Next, I have a free-form Mandela. 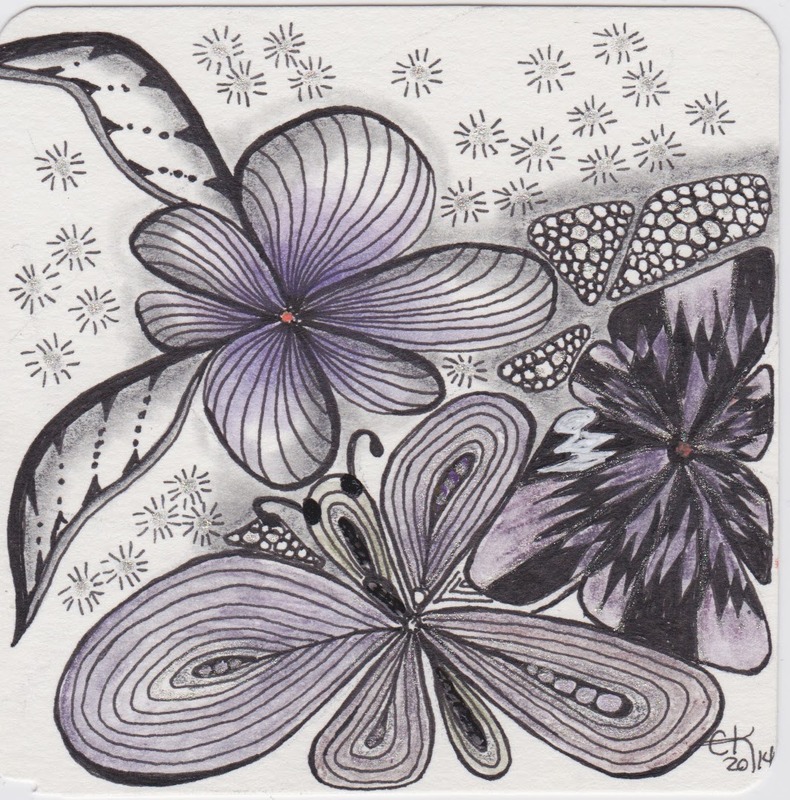 Next, I played with a N’zepple type grid, a bit more free-form, and looking for flower shapes. The colors are from Derwent Graphitint Watercolor pencils, and my favorite glitter Gelly Roll pen. 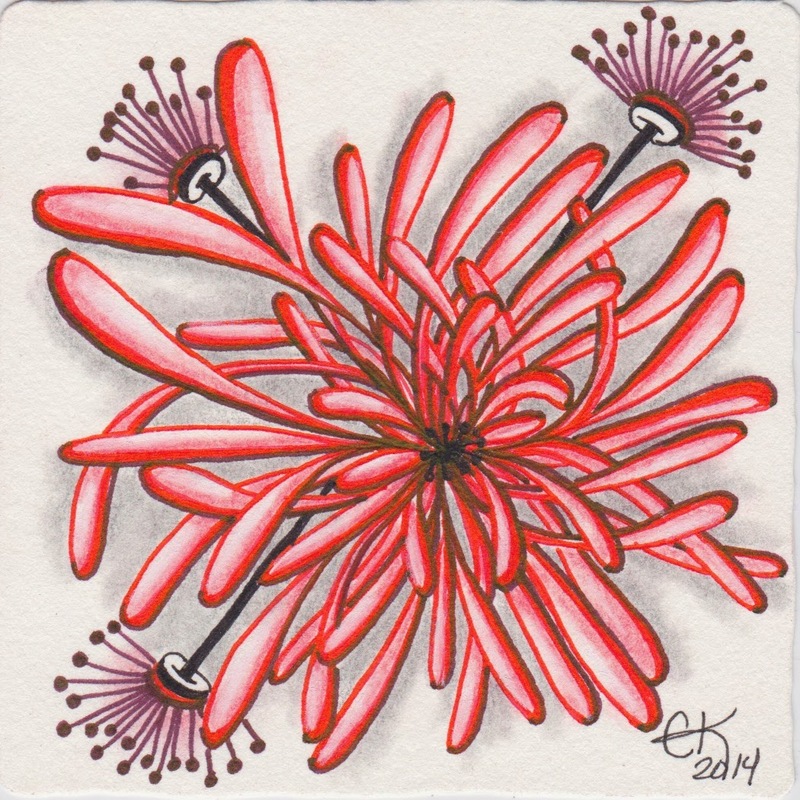 And I leave you with a beautiful spring chrysanthemum, done in red and burgundy Gelly Roll pen. And now, I’m off to tangle with my homework again! Next ›My First Diva Challenge…its a Quandry! 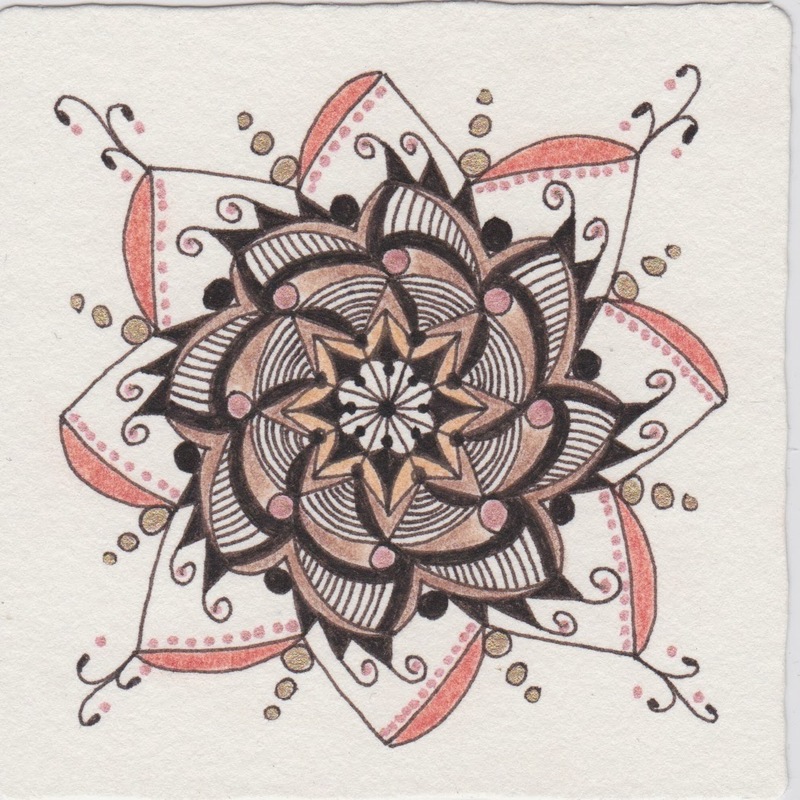 My favorite is the mandala. Very cool.